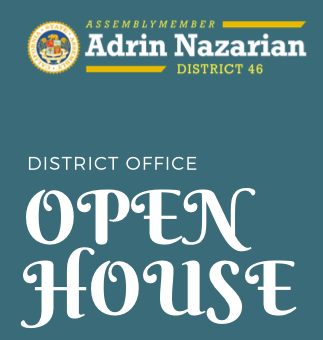 Assemblymember Adrin Nazarian will be hosting our Annual Open House on December 6th, 2018. We are opening our district office to collect food and toy donations, discuss legislative issues and answer any questions regarding constituent services. If you have any non-perishable foods or unwrapped toys you would like to donate, please feel free to drop them off at our office on or before December 6, 2018. Free parking is available in the parking structure on Calvert St.